So, the guys felt somewhat left out when we announced the Menopause Combo. In the spirit of gender-neutral equality and the fact that men have their own cycle shifts, we now offer a discounted two-bottle combination. To strengthen the body systems most affected by seasonal allergies, we're offering a three-bottle MBP Balancing Solutions Allergy Season Support Combo. 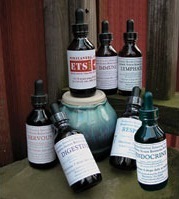 The perfect gift for anyone who could benefit form some good health support. Stressed? Know someone who is? Support your loved ones and yourself in time of stress – look at this helpful kit! Don't let the word "beginner" fool you! The "Beginner's Combo" is for everyone. 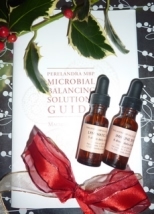 We always suggest MBP Immune and Lymphatic Systems Balancing Solutions and ETS Plus for Humans. Endocrine & Female Reproductive Solutions – from pre-puberty to post-menopause, but especially during menopause. The smaller 1/2-oz (14.8ml) bottles are great for travelling, keeping a second set at another location (like your office or children's room) or simply freeing up some space on your bedside table. It's also a great way to introduce others to the MBP Solutions and Perelandra. The MBP solution bottles sure look nice on a bedside table, but we admit, they're not exactly portable. Anyone who's been traveling with their Solutions will be happy to hear about this MBP Solutions Do-It-Yourself Kit.